I wasn’t there in the beginning. In 2003, whilst I was taking some time out to go snowboarding, a small group of pioneers were inciting the .NET revolution. Dissatisfied with the oppression of Microsoft, they wrought the iron of .NET into the sword of Alt in the fires of pain. 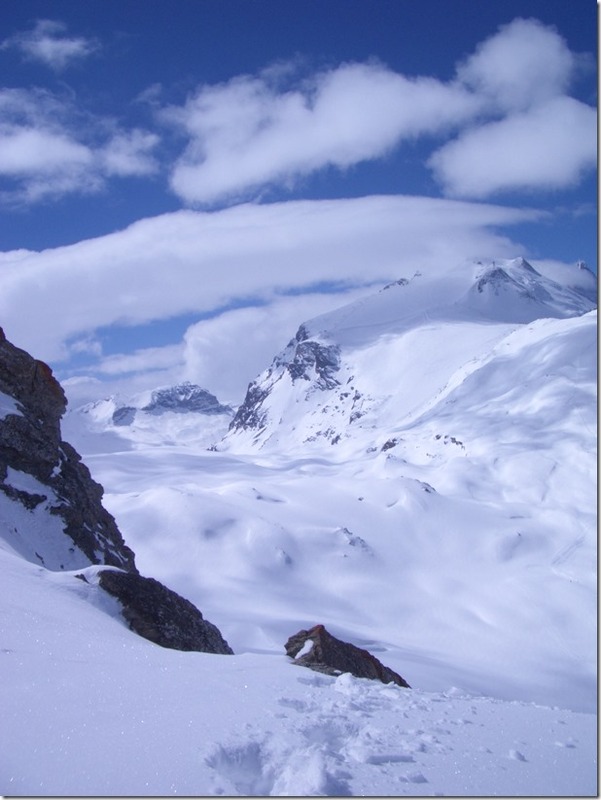 Anyway, I was in the Alps and the snow was great! So much so that I went back in 2004. But the revolution was brewing. — My old boss, around 1997. The pace of change in software development is significant and “every day’s a school day” has epitomised my software development career, where it can feel like you’re running just to keep up. I could have learnt different things in different ways but I’ve never stopped learning. There have certainly been points at which my learning accelerated. One such moment is where new team members have joined the team and have brought new experience and insight. Another is joining the developer community. Although I was learning, I was almost a Dark Matter Developer. I was getting stuff done but I was blissfully unaware of the vibrant community of developers that surrounded me. One of the team introduced me to the blog of Brighton (UK)-based developer Mike Hadlow. It was reading the comments on this blog post that I noticed a phrase that piqued my interest — “ALT.NET”. What was this strange “ALT.NET UK” that they talked about? I Googled this magical thing and found that the Alt.NET UK conference was imminent — I registered immediately and I was in. 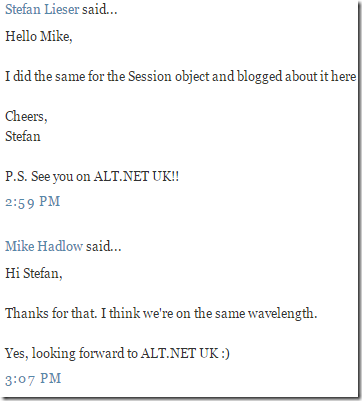 I met an amazing group of people at the Alt.NET UK unconference (including Mike Hadlow!). That led me to the London .NET user group, coding dojos, Progressive.NET, OWASP, DevOpsDays and the list goes on. I have many friends from that first Alt.NET event. In Computer Science, naming things is hard. The same applies here. 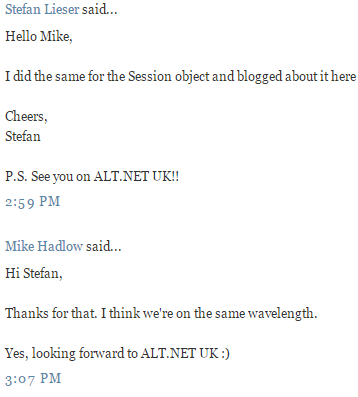 As Scott Hanselman said around the time of the first US conference, the Alt.NET name is polarizing. Some took it to mean anti-Microsoft. As with others, I took “alternative” to mean something that embraces choice. Why shouldn’t we build software using any tools irrespective of where they come from? The key is that we build great software. The same is true of languages and frameworks. I love C# and .NET but if Python is more appropriate for a particular use case, use that. Why can’t we look at other the communities around other languages for inspiration too? We can, and that’s Alt.NET. There was a feeling that Alt.NET was elitist and the Alt meant an alternative group of people. Perhaps. However, I wasn’t part of the elite and Alt.NET won me over. And the Alt.NET name still has a lot of power. It can be a rallying cry. I want a wider set of developers to discover a rich .NET ecosystem. Microsoft is treading a difficult path which seems to be guided by dragging large Enterprise customers using .NET Framework into the future that is .NET Core at the expense of new developers, who might struggle in adopting .NET Core. Will backwards compatibility and the complexity it brings mean that they choose PHP, Node.js, Go or something else instead? Microsoft is a very different to the organisation that it was in the last decade. There are great people there doing great things but it is a large organisation and can do a lot of damage with little missteps. I want to see Microsoft continue to foster the ecosystem without stifling it. Much progress has been made here. Visual Studio wizards allow you to choose a unit testing framework other than MSTest; Newtonsoft Json.NET and jQuery were embraced, and not extinguished. These are limited examples but show the right intent. But even then, when Microsoft “bless” something, does that mean the others can’t compete? .NET Core has amazing potential. It’s enabled a cross-platform world that was unthinkable at one time. It is even present in AWS Lambda ready for the next evolution of cloud computing. We have an opportunity to grasp all of that potential as a community and run with it. Ian Cooper has detailed some of the reasons we need to take up the baton. Mark Rendle and Dylan Beattie have already written much more about the possibilities. As Gáspár Nagy says, it’s “high time to think positively”. I’m certainly not the only one looking forward to being a part of the .NET Renaissance!